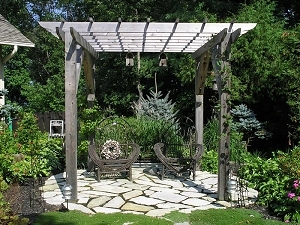 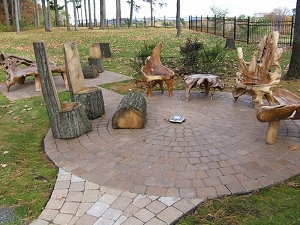 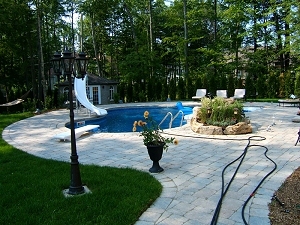 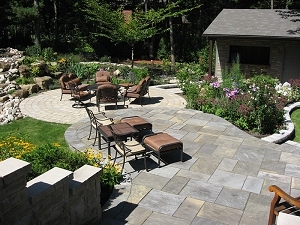 A well designed and thought out patio is often times the piece of landscaping that is most enjoyed by the homeowner. 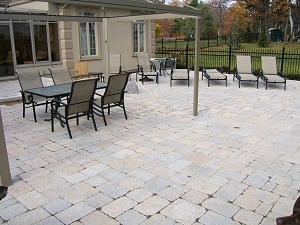 Whether the patio encompasses a pool, is nestled in a private little nook of the yard near a favourite shade tree, or is attached to the back of a house and serves as BBQ headquarters, a patio adds a great deal of functionality and beauty to a property. 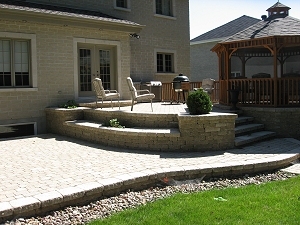 By incorporating steps and different levels, multi-level patios are both very attractive and very practical in situations where rear doors are placed at a higher elevation than the backyard. 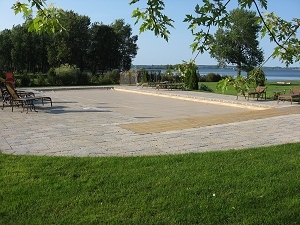 Uni-stone patios are very popular due to the large choice of colour, texture, pattern, and style that they offer. 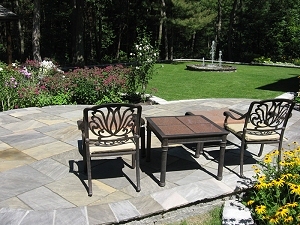 Natural stone patios are an interesting alternative to uni-stone, and offer the beauty that each individual stone is unique. 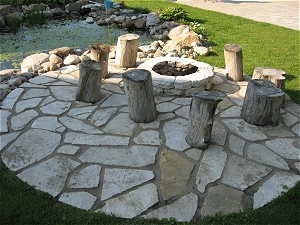 Natural stone patios can either be very rustic or very fine in appearance, depending on the type of stone selected and the method of installation carried out. 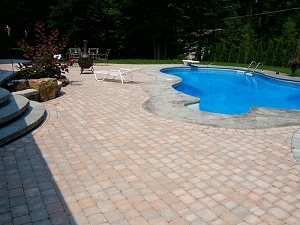 For example, a modular cut stone project has a more fine appearance than a crazywork design, and a setting in mortar always looks finer than a dry installation.